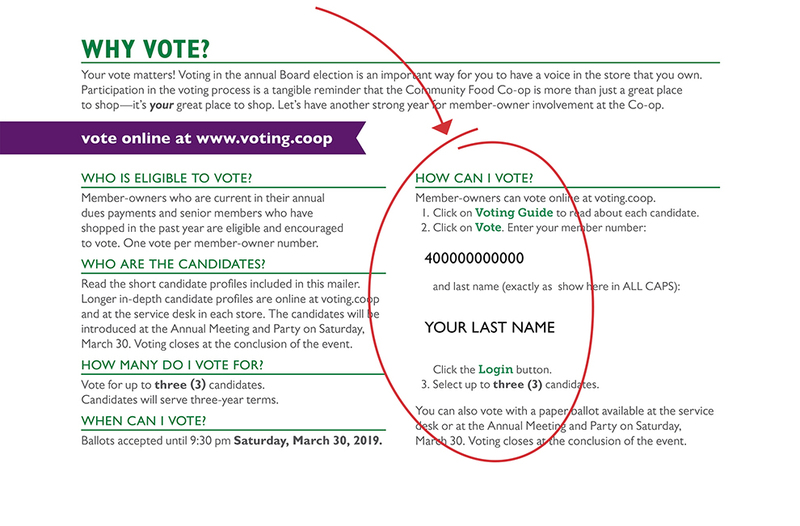 To vote, enter your 12-digit member number which can be found on the back of your Co-op member card or in the election mailing sent to member-owners in early March. Trouble logging in or voting? * Please contact us! We'll make sure you can cast your ballot! Refer to your mailed election information sheet for your full member number. Enter it exactly as it appears on your mailer in ALL CAPS including any punctuation.